You are currently looking for Holiday Cottages in St Just to help you find the right cottage break you can filter the results. Little Rock (St Just) sleeps a maximum of 3 people. Far West (St Just) sleeps a maximum of 2 people. Garden Cottage (St Just) sleeps a maximum of 2 people. Colleens Cottage (St Just) sleeps a maximum of 3 people. Five Degrees West (St Just) sleeps a maximum of 2 people. The Old Forge (St Just) sleeps a maximum of 6 people. Kevrin Cottage (St Just) sleeps a maximum of 4 people. Boslow (St Just) sleeps a maximum of 6 people. Chy Gever (St Just) sleeps a maximum of 2 people. Parula (St Just) sleeps a maximum of 2 people. Ocean View (St Just) sleeps a maximum of 4 people. The Bowji (St Just) sleeps a maximum of 4 people. Ocean Breeze (St Just) sleeps a maximum of 2 people. Moonfield (St Just) sleeps a maximum of 2 people. Sixteen Fore Street (St Just) sleeps a maximum of 4 people. 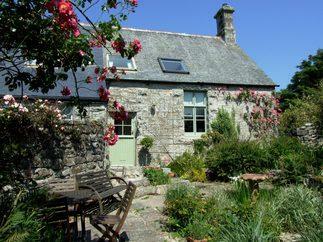 Churchgate Cottage (St Just) sleeps a maximum of 5 people. Away West (St Just) sleeps a maximum of 6 people. Cot Valley Cottage (St Just) sleeps a maximum of 2 people.